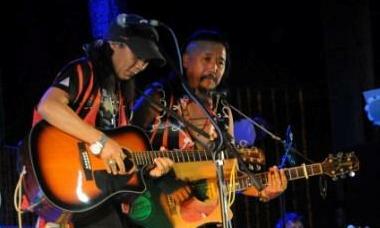 Kohima celebrated World Music Day along with the rest of the world on June 21 at The Heritage, Old DC Bungalow, Kohima. This is the third year running. From 4.30 pm, the World Music Day saw performances of 15 popular Naga artists from Kohima, Mokokchung and Dimapur in varied genres such as Rock, EDM, Choral, Indie, Hip Hop. 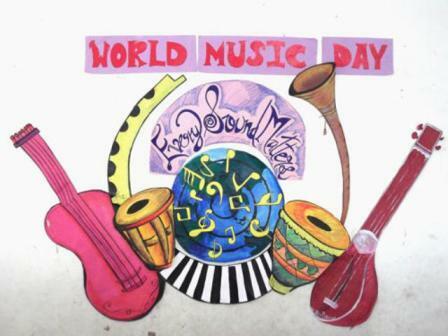 Members of the Musicians Guild said it was the third World Music Day celebrated in Kohima, beginning 2016. “It is a day for musicians. We hope that music lovers will come and have a good time and support our musicians. This year we have the best lineups,” said Melekhoto Pucho, adding that the response has been ‘very good’ in the last two years. The entry ticket was priced at Rs. 100 which also included refreshments and surprise gifts, informed Mengu Suokhrie. The nominal fee, according to Musicians Guild is being charged to remove the ‘culture of free shows’. “As artists, we are struggling to sustain ourselves and many musicians have given up on music because of the free culture,” informed the Musicians Guild stating that the culture of free shows discourages the growth of musicians who choose music as their profession and to earn their livelihood. “With this minimal fee, I hope they come and support us,” stated the Musicians Guild during the press conference also expressing the hope that the government will also support their cause. Initiated by the Symphony Academy of Music and the event is presented by the Musicians Guild, and powered by SAN Production. The event partners and sponsors for the celebration are The Heritage, Highland Dawn Media, Beat Devices, Geisuo sound, Shiu lights, Imprint, Pro Driver, Bentosh, Unitex Powerline, Lineage, DCafé, Symphony cafe, and Occasions. Musicians Guild is a recently formed group with a vision to further its step in recognizing and bringing hard-hitting strategies to provide a common platform and support the local musicians in Nagaland.